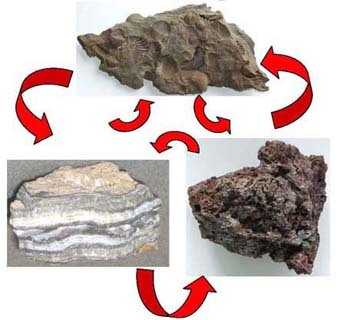 The rock cycle is the method that natural forces change rocks from one group to another. The three major rock families are igneous rocks, sedimentary rocks and metamorphic rocks. 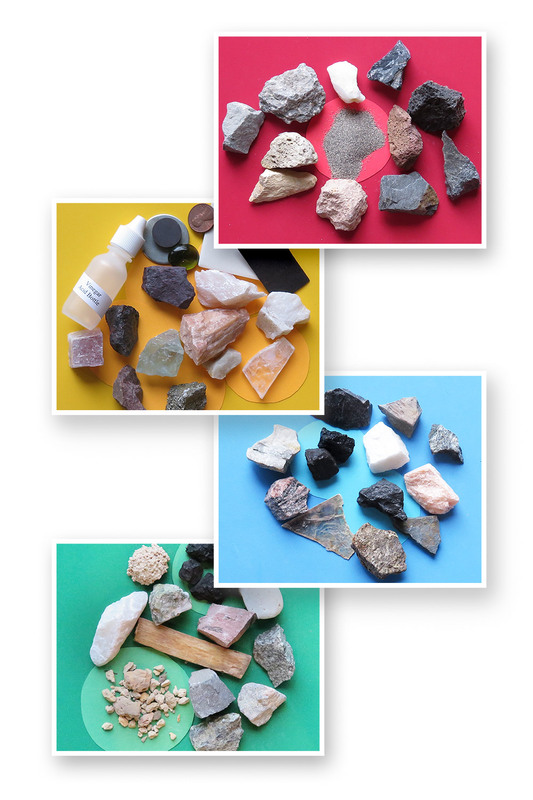 There are 92 naturally occurring elements and over 3,500 different identified minerals. 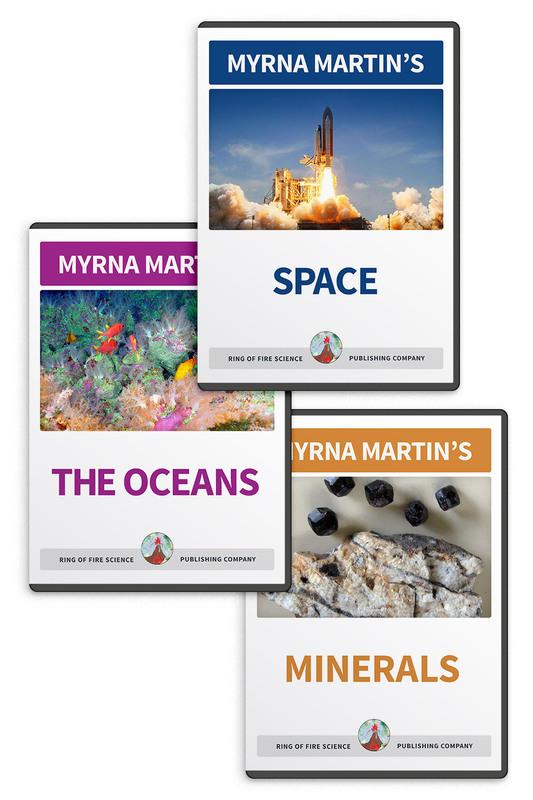 These elements and minerals are the building blocks of rocks. Different processes create each of these families of rocks. All igneous rocks were at one time molten rock material that cooled and solidified. Only the outer core is molten inside the Earth. The mantle and crust are solid except for places where rocks melt and collect in magma chambers. Liquid rock material collects where crustal plates are separating. Basalt flows out of these fissures onto the ocean floor and cover 70% of the Earth. Flood basalts are huge outpourings of basalt that occur on land. Subduction zones and hot spots are also places where igneous rocks form. The rocks in these areas form a variety of igneous rocks including andesite, dacite and rhyolite. Rhyolite is the most explosive of these lavas and is associated with super volcano eruptions. Sedimentary rocks are the second major family in the rock cycle. The outer 10 miles (16 km) of the Earth's crust are only 5% sedimentary rocks but they cover approximately 75% of the Earth's surface. Sedimentary rocks form when older rocks are broken down and carried to new areas by weathering erosion, transportation and deposition where they turn to stone (lithify) . Clastic sedimentary rocks form when bits and pieces of boulders break off and are carried away by streams into the oceans where the layers of sediment collect. The sediments turn to stone when the overlying layers forces water out of the spaces between the individual grains of rock. Heat from the pressure of overlying layers turns these sediments into claystone, siltstone, mudstone and shale. Organic sedimentary rocks form when plant and animal material turns to stone. Coal and limestone reefs are examples of this type of rock in the rock cycle. Chemical sedimentary rocks form when minerals precipitate out of ocean water and lake water forming layers of sedimentary rock on seafloors and lake bottoms. Borax and salt are examples of chemical sedimentary rocks found on dry lake beds. Metamorphic rocks are the third major family of rocks in the rock cycle. 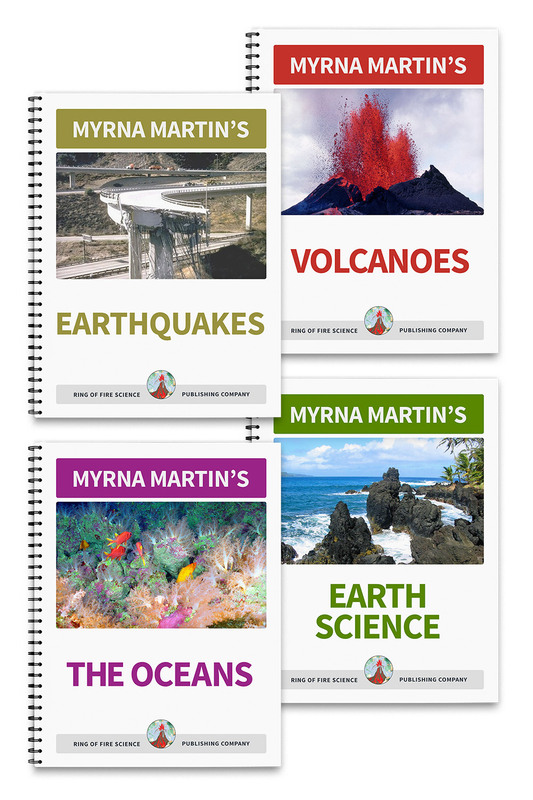 Tectonic plate movement creates metamorphic rocks when two continental plates collide. The Himalaya Mountains formed when the Indian and Eurasian Plates collided. Even today the mountains are slowly growing taller as the land between two colliding plates is compressed. The minerals in the rocks between the two plates recrystallize into new minerals that are stable at higher temperatures and pressures. As the rocks recrystallize they form new metamorphic rocks including gneiss, slate, marble and quartzite. The rocks found in the rock cycle are constantly changing due to crustal plate movement on the surface of the Earth. The rocks on our planet are constantly changing because of forces both inside the Earth and on the surface of the Earth.